**BEXLETTS HAVE LET THIS PROPERTY WITHIN 48 HOURS. FREE RENT INSURANCE PROVIDED TO THE LANDLORD AND 0% FOR FULL MANAGEMENT FOR 3 MONTHS!!! TO RENT YOUR PROPERTY PLEASE CALL 0208 301 3445 FOR A FREE VALUATION** Bexletts are offering this three bedroom detached house situated in Welling within walking distance to Falconwood BR Station and nearby schools. 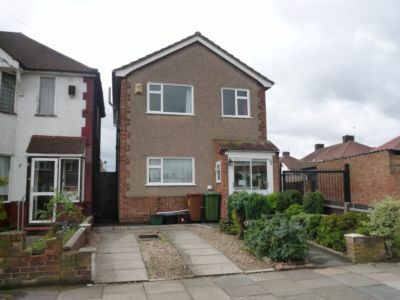 The property comprises of large lounge/diner, fitted kitchen, downstairs W.C, two double bedrooms, one large single bedroom and family bathroom. Also offering a large garden with garage and driveway to front. Benefiting from double glazing and gas central heating. Available either furnished or unfurnished. DSS CONSIDERED.